The Colombo-Belgian Annabelle Lopez Ochoacompleted her dance education at the Royal Ballet School of Antwerp, Belgium. After a 12-year long career in various European dance companies Annabelle decides in 2003 to focus solely on choreography. In that same year she was hailed “rising star of the Dutch dance scene” (NRC newspaper) and only 7 years later the Temecula Performing Arts Examiner wrote: ”Ochoa is truly a masterful choreographer with an edge for what dance can and should be in this constantly changing industry”. Annabelle has so far created works for many companies around the world such as the Scapino Ballet Rotterdam, Dutch National Ballet, Djazzex, Ballet du Grand Théâtre de Genève, The Royal Ballet of Flanders, Gran Canaria Ballet, the Gothenborg Ballet, Modern Dance Theater Ankara, BalletX, Pennsylvania Ballet, Luna Negra Dance Theater, Ballet National de Marseille, Ballet Hispanico, Le Jeune Ballet du Québec, BJM-Danse Montréal, Jacoby&Pronk, Saarbrucken Ballett, Chemnitzer Ballett, Whim W’him, Incolballet de Cali, Pacific Northwest Ballet, Finnish National Ballet, Compania Nacional de Danza, Scottish Ballet, The Washington Ballet, Ballet Nacional Dominicano, Ballet Austin, Atlanta Ballet, Augsburg Ballet, Ballet Nacional Dominicano, Ballet Nacional de Cuba, Grand Rapids Ballet, West-Australian Ballet, Ballet Manila, Ballet Nacional Chileno and Danza Comtemporanea de Cuba. In April 2012, she creates her first full-length Ballet “A Streetcar named desire” in collaboration with theater director Nancy Meckler for the Scottish Ballet. The piece was acclaimed by both press and public, and received several awards. It had an extended tour through the UK. In 2014 & 2015, the Scottish ballet will be touring the work in the United States. 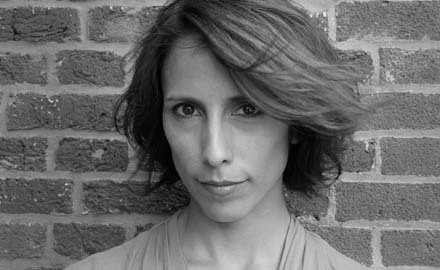 Ms Lopez Ochoa is a versatile choreographer who works regularly within the dance field but also creates for theatre, opera, musical theatre and in 2006, for the celebrated Dutch fashion designers Viktor & Rolf’s project in the Van Gogh Museum. She belongs to the Theater-Dance collective “Fantasten” with whom she created successfully 5 full-length pieces, which have been performed in numerous theaters and festivals throughout the Netherlands. The critically acclaimed piece “Before After” which Annabelle created for the Dutch National Ballet in 2002, and which is known as her signature piece, has been performed at the Dance Passion Festival in the Netherlands, the New York Fall for Dance Festival, the Houston Dance Salad Festival, the 2007 Orange County Fall for Dance Festival, throughout Sweden by the Gothenburg Ballet, at several galas in Spain and is currently on the repertoire of Ballet Nacional Dominicano, Whim W’Him, Ballet Hispanico, Finnish National Ballet, Dutch National Ballet and Pacific Northwest Ballet. 2007: selected for the New York Choreographic Institute. of the highlights of 2012. 10th anniversary, has been included in the ‘Best of 2013’ of US Dance Magazine.